Due to illness, I need to rehome my 7 healthy PPs. I have had them for almost 10 years. They range in size from small to one being egg size. They would come with their 2 level 40 gallon breeder tank and everything in it. They will also come with lots of premium food that I recently ordered from The Hermit Crab Patch. This is a very sad decision for me. I want them to go to a serious crab-loving home. Would you be willing to ship them and all the supplies? It is not recommended to ship during the winter months. Hello! I am half an hour away from Baltimore and have tons of space for new hermies! I have my full setup listed on the adopters forum on this site in the MD and PA sections. I have been taking care of hermies for about 9 years now and absolutely love it! My email is jonemor13 at gmail.com or you can message me here if you still need someone to adopt or would like pictures of my setups to help make a decision. Please let me know if you are still in need of rehoming your crabs. We live in a fairfax VA and willing to drive out and pick them up. 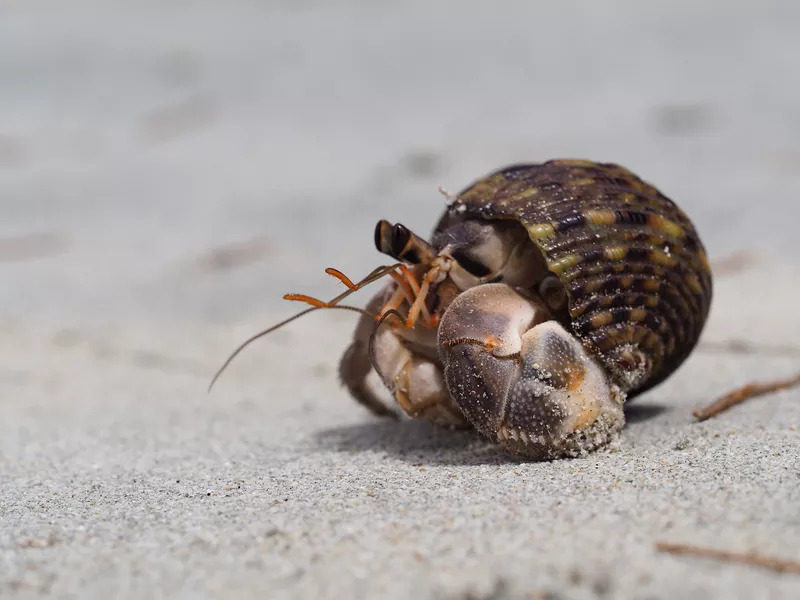 We’ve had hermit crabs for over 7 years, our current family of crabs consist of 1 large and 3 medium crabs. Still plenty of room for more crabs in our oversized tank.